Accidents and injuries happen suddenly and are a common occurrence in everyday life. Some need immediate treatment while others can wait for an appointment with a doctor. If you have an injury that simply can’t wait until later, you usually have two choices: go to the emergency room or go to an urgent care facility. There’s no need to go to the emergency room when you can see a sports medicine specialist without the wait and expense of the ER. One of our providers will see you within minutes of your arrival, evaluate your injury, and determine what treatment is necessary. Most sports injuries can be treated without surgery, and as a primary care sports medicine physician, Dr. Harrall specializes in treating these types of injuries. If he feels you need a surgical procedure, such as for a complex fracture or completely torn ACL, he can refer you to one of our orthopaedic surgeons. We also have the training and expertise to make return to play decisions for athletes following a concussion. We will ensure you are ready to be cleared to resume playing your respective sport. Learn about our active concussion management program. If you suffer an accident, sports injury, or other acute pain, it’s important to see the right specialist, right away. Our clinic for adults and children is a completely new way for you to get the urgent care you need, when you need it. Knowing that there is a place to go for quick, quality orthopaedic and sports medicine care offers peace of mind, and we are pleased to offer this service to our community. Our goal is to be your go-to destination for orthopaedic urgent care in Colorado Springs. 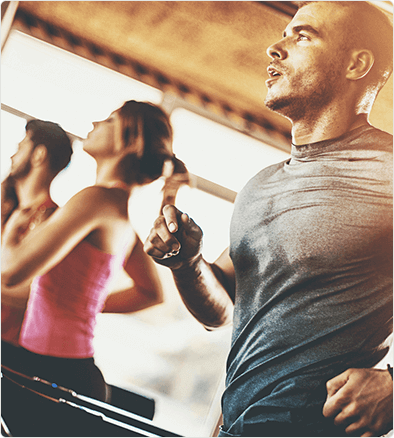 Whether you’re a competitive athlete, weekend warrior, or simply an active individual, we will help you return to your previous level of activity quickly and safely, so you can get back to doing what matters most to you. At the Colorado Center of Orthopaedic Excellence Urgent Care & Sports Medicine Clinic, we offer a full range of services for patients of all ages, so you can be evaluated, diagnosed, and treated under one roof. Wanting patients to always have access to quality healthcare, Dr. Harrall noticed a gap in the local healthcare system regarding orthopaedic urgent care and primary care for athletes. He realized that athletes and active individuals were constantly searching for the right place to go, other than the emergency room, where they could access immediate care for sports injuries. Recognizing this need, we opened our same day/open access orthopaedic urgent care and sports medicine clinic to provide urgent and primary care services for athletes suffering specifically from musculoskeletal and sports-related ailments. At CCOE we believe this is an improvement over the typical walk-in style urgent care clinic or ER, which can have inconsistent and unpredictable wait times. Our goal is to get you seen quickly and conveniently, while respecting your personal time and busy schedules. Our orthopaedic urgent care clinic offers convenient hours. Our urgent care hours are Monday – Friday, 9 am – 5:30 pm, Wednesdays we are here from 2-5:30 pm. As an urgent care clinic, we are a convenient, faster, and simpler solution for pain relief after injury, without the hassle. Residents of Colorado Springs now have access to prompt, immediate care at the Colorado Center of Orthopaedic Excellence. Avoid the high cost and long wait time of an emergency room visit, and be treated directly by our sports medicine specialist at our orthopaedic urgent care clinic. When your injuries are more than just minor bumps and bruises, we are here to help. To learn more about our orthopaedic urgent care services, call (719) 394-4800. You can call us to be seen at your convenience with same day or next day appointments available or use our online form to request an appointment with one of our Providers.